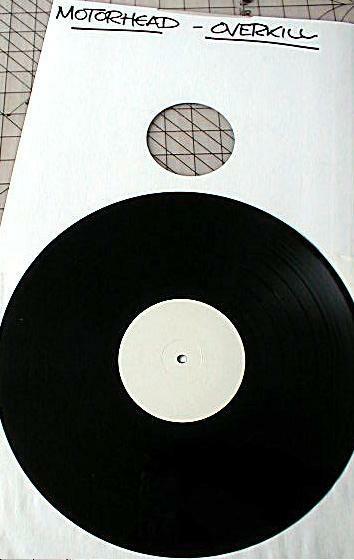 Test pressings on black vinyl with completely white labels exists of this release. I have seen a copy on Ebay housed in a white die cut sleeve with handwritten "Motorhead - Overkill". A copy was sold on eil.com in January 2008 for GBP 300 and it was housed in a picturesleeve.